Frederick County, Maryland, is home to six National Park Service units and nearly 100 National Register properties and historic districts, and is part of the Journey Through Hallowed Ground National Heritage Area. It’s the perfect place to celebrate the National Park Service’s upcoming centennial and #FindYourPark. There are many ways to enjoy parks, whether you prefer urban parks, nature parks, historic parks, or anything in between! Love the outdoors and can’t wait to hit the trail? 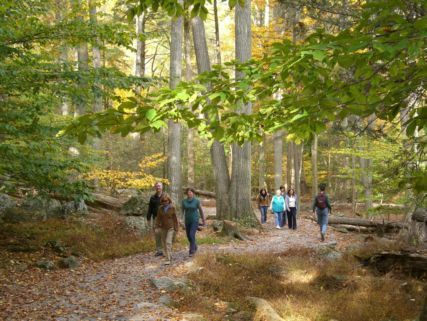 You’ll enjoy the vast selection of hiking trails in Frederick County. Follow 15.7 miles of towpath through the C&O Canal National Historical Park (also part of the Potomac Heritage National Scenic Trail) on foot or even by bicycle. The Canal stretches from Georgetown in Washington, D.C., to Cumberland, Maryland, for a total of 184.5 miles of adventure, but you can go beyond that in either direction continuing on the Potomac Heritage National Scenic Trail. Even the Appalachian National Scenic Trail, which goes from Georgia to Maine, passes through Frederick County! If you like a challenging hike through the mountains with breathtaking overlooks or a scenic walk along a nature trail, Catoctin Mountain Park is the perfect choice for your next outdoor adventure. The park has a variety of trails to choose from, ranging from paved loop trails to serious hiking trails for major enthusiasts. This natural area is so peaceful that it is home to presidential retreat Camp David. Is your idea of adventure exploring the unique offerings in a thriving downtown? 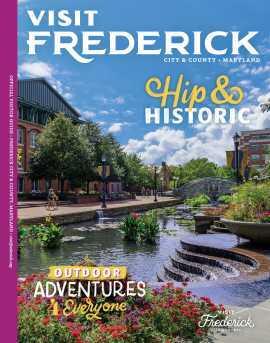 There’s so much to see and do in the Frederick Historic District. This 50-block area on the National Register of Historic Places offers more than 80 independently-owned shops and restaurants in historic buildings, plus great art and architecture. The vibrant downtown hosts hundreds of special events throughout the year and is bustling year-round. If you like towns on a smaller scale with hometown appeal, you’ll enjoy places like the Brunswick Historic District and the Middletown Historic District. 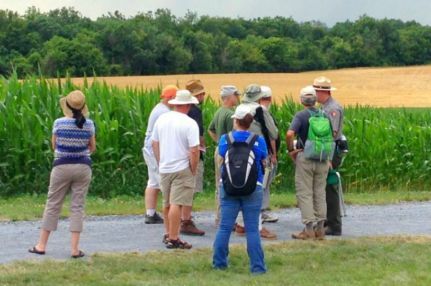 Speaking of historic places, history buffs enjoy beefing up their Civil War history while touring Monocacy National Battlefield. Visitors learn about the July 9, 1864, battle that saved Washington, DC, from Confederate attack. A self-guided, 6-mile driving tour begins at the Visitor Center, which also houses a large museum with artifacts and an electric map. During special event weekends, immerse yourself in living history and experience the roar of the cannon! Even though the C&O Canal is used widely for recreational purposes, the park has a rich history. Step back in time to pre-Civil War days and learn about transportation on the Canal at the Brunswick Visitor Center. Also in Frederick County, the War Correspondents Memorial Arch, under the jurisdiction of Antietam National Battlefield, sits atop Crampton&apos;s Gap as a memorial to journalists killed in combat. National parks aren’t the only parklands to explore in Frederick County. There are several state parks that offer history and recreation, as well as the State of Maryland’s only battlefield. Mountain bikers love the trails at Gambrill State Park and swimming and paddle sports are popular in the lake at Cunningham Falls State Park, which happens to have Maryland’s tallest cascading waterfall. And if that’s not enough you’ll find county and municipal parks throughout the county. Visit Frederick County and #FindYourPark!